Buy the book in either paperback or Kindle edition by clicking HERE, or ask local retailer to get the paperback for you (provide retailer with the paperback’s ISBN number above). Gold medal winner of 2016 FAPA (Fla. Authors & Publishers Assoc.) 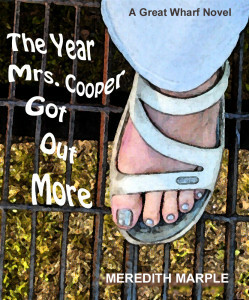 President’s Award in Chick-Lit category, and currently a Finalist for an IAN (Independent Authors Network) Book of the Year in Women’s Fiction. As an unpublished manuscript, took home a Bronze in the 2015 Royal Palm Literary Awards (Florida Writers Association). Brief Description: Living in a small town in Maine … doesn’t keep you safe. The coastal tourist town of Great Wharf, Maine, boasts a crime rate so low you might suspect someone’s lying. 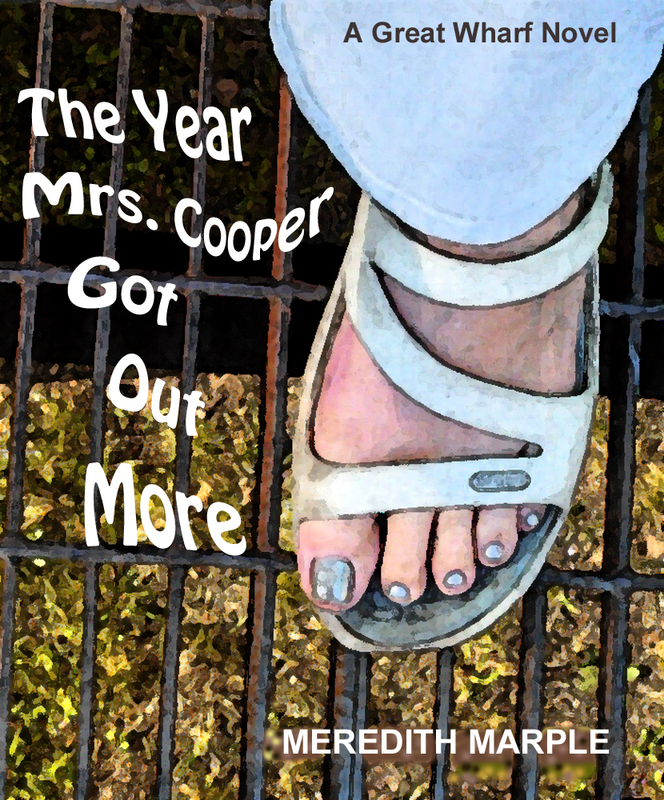 Nursing long-simmering secrets, agoraphobic empty nester Mallory Cooper fears most everything. Careful to keep the red wine handy and loath to leave the house, Mallory misses her happier self—and so does her husband. To please him as well as deflect a nosy neighbor who’s curious about a New Age gift shop, Mallory steps out to explore. A chance comment to the vampy store owner seals the proprietor’s and others’ fates while Mallory chases her own demons for an overdue showdown. With the courage to change, Mallory learns that forgiveness, love, and friendships will help her overcome fears and scars. D. Donovan, Senior Reviewer, Midwest Book Review – [T]he proof of a superior production lies not so much in the plot itself, but in the personalities of the protagonists -and it’s here that Meredith Marple shines. This book is replete with insights [weaving] into the quietly-compelling saga of one woman’s transition…It’s ultimately a murder mystery but there’s nothing ‘formula’ about it. The couple’s evolving life is just as compelling (and even more deeply explored) than the murder scene itself -and that’s what keeps its story line refreshing, compelling, and ultimately a winning standout from many genre peers. Tina Gibbons, Readers’ Favorite – I couldn’t put this book down. The mystery flowed smoothly and kept me curious. The story was addictive and I couldn’t wait to find out what happened next. The author’s voice was pleasing and constant and the polished prose stood out as stellar. This is one of my favorite reads this year. I strongly recommend it. Red City Review – The year is 2014, and an underlying current ofmalaise is stirring behind the closed doors of residents in the small and quaintMaine town of Great Wharf … Meredith Marple’s debut novel is reminiscent ofPeyton Place minus the anticipated sordid secrets. Indeed, Marple’s tightlyknit cast is shrouded in secrecy of one form or other. 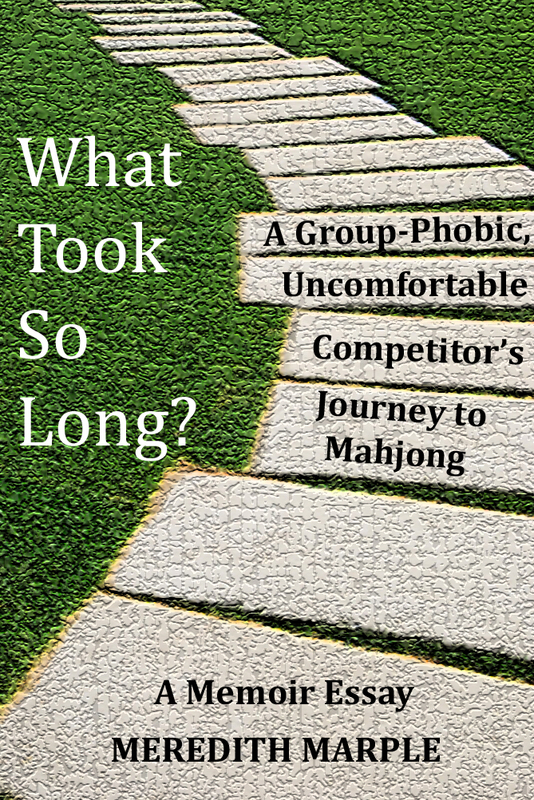 Yet her well-definedcharacters, for the most part, are made up of decent individuals at differentstages in their lives–all holding on to unresolved issues … Kudos to Marple forcreating a fascinating and engaging read! Buy the e-book, a Kindle Short Read, by clicking HERE. Brief Description: Not realizing the ramifications, a woman whose family never played mahjong decides it’s the perfect game for her to pursue in her sixties. 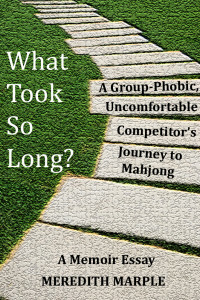 Despite thinking of herself as a non-joiner and a reluctant competitor, when Meredith hears the clicking of mahjong tiles, a long-buried need surfaces. Raised under the influence of a competition-driven father, she once redirected her own killer instincts. After a lifelong career in the publishing netherworld between academia and business, she still has no idea what she’s in for. Visit Cinder Path Press's profile on Pinterest. Copyright © 2019 Rutter Associates. All rights reserved.